BLOOD AND THUNDER – My first review. This book was given to me by a man who spent many years in prison and was part of the early revolutionary movement within the prison system in California. I highly respect this man and thank him for his continued commitment to the struggle in San Francisco where he lives today. This 400 page book focus is mainly centered around a few characters, notably Christopher “Kit” Carson. Which ironically is the name of an elementary school I attended. If more people only knew the history of this murderer of Indian and Mexican lives in the late 1800’s they might have thought twice about naming a school after him. The large part of this book is dedicated to Kit Carson’s involvement in the movement and settlement of today’s U.S. Southwest. The last few chapters were the most informative to me. The focus steers towards the U.S. Government’s mission to eliminate the Navajo. It was saddening to read about the devastation that the U.S. military led by Kit Carson had on the Navajo people. The government and it’s military was almost successful in completely destroying these proud people. If it were not for a change in circumstances the Navajo Nation would have perished in the forced relocation to Bosque Redondo, New Mexico. Fortunately an elder was able to convince a U.S. General to allow the Navajo to return to their traditional land. Narrative History Narrative History Overall this book leaves me with the impression that the author was attempting to mislead the reader into thinking that the destruction of the southwest was not the fault of any concentrated effort by the U.S. government and individual White Settlers, but more the result of an inevitable outcome. This can be no further from the truth….!!!!! The U.S. government knew exactly what it was doing every step of the way. It is documented in many of the same sources the author used in his research. First, the U.S. intended to take over the territory that Mexico owned to expand it’s empire from the Atlantic to Pacific ocean. They used a religious concept to convince the masses that they were justified in their stealing of land and killing of Indians and Mexicans. (Manifest Destiny) Two, with it’s expansion of territory from it’s victory over Mexico, it then intensified it’s campaign against Indian people of the West. Killing those that refused to submit to their new rulers and remove themselves from the path of White Settler expansion. Don’t be fooled by the Hype. Kit Carson and all of the other military and volunteer militia are responsible for their campaigns against native people who suffered great losses. No matter how objective this author attempts to be, the Navajos and many other tribes would share a much different description of the events of this time. I recommend talking to descendants of the people that faced Kit Carson and the U.S. military when they were expanding westward to know for yourself. 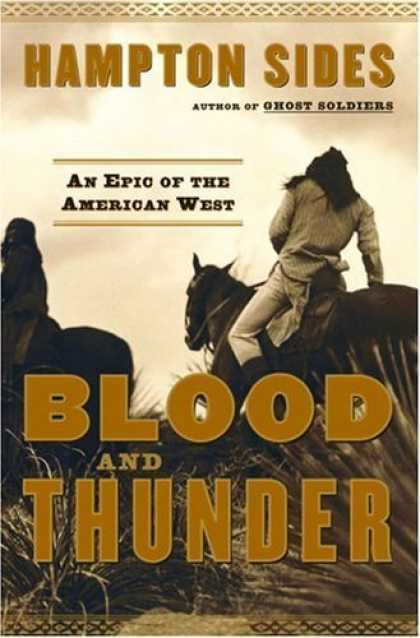 Overall, if you do read this book, skip the first 90% and read the last few chapters beginning with Kit Carson’s campaign against the Navajos. This is the closest the author gets to the truth. Kit Carson under the orders of General Carleton was responsible for the burning and killing of corn fields and animals which forced the Navajos into starvation. Once they were on the verge of dying they surrended and were forced to walk almost 500 miles to an area outside of their territory. This is known as the Long Walk. At this new location many died from diseases and malnutrition. A third of their population died here and on the journey. Finally it was decided by the U.S. that they should be relocated or they would completely be destroyed. It was then they were allowed to return and the current reservation is where they live today.